Although the zombie outbreak has left the Edo Period in chaos, you still roam the land, living by the code of the samurai. 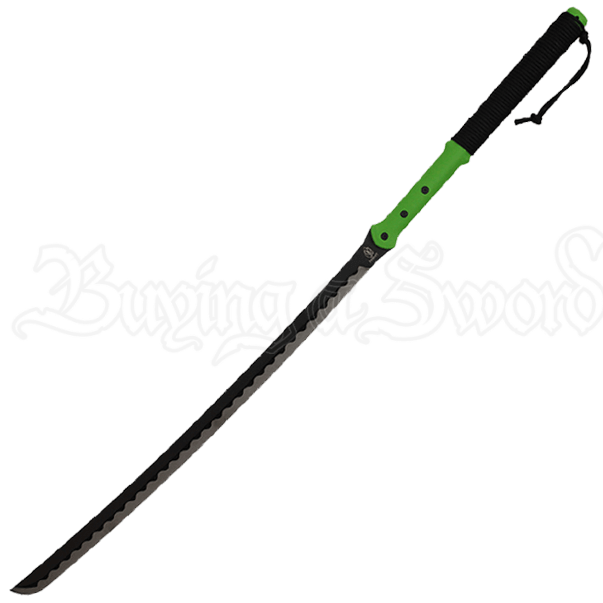 The Two Handed Zombie Slayer Katana is the perfect weapon for a time-traveling adventure into a dystopian world. It is the perfect blend of traditional style and modern ingenuity. The elegant wave pattern found on the stainless steel blade attracts the eye. The neon green, two-handed handle assists in moving with power and precision. A black paracord wrap provides a grip that is steady and firm. 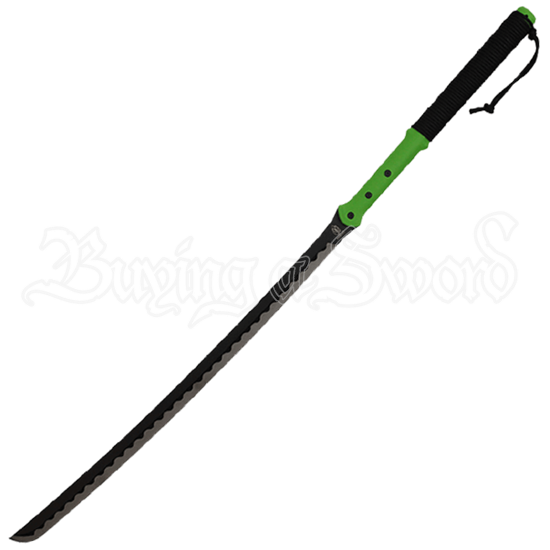 Whether your next journey takes place in the Edo Period or a dystopian world, keep this handy blade within easy reach. Store it in the included black nylon sheath.